The compact cube-form of the 9204 / 9208 oil meter is a space-saving design used for the measuring of heating oil. It is ideal for small to medium size residential burners. 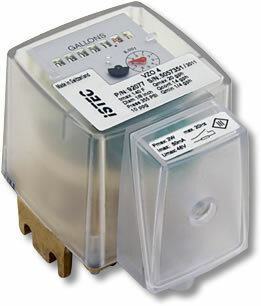 The meters come standard with a mechanical totalizer and are available with an optional reed pulse output. Simply mount and read as required and these maintenance free meters will last for years of use. Manufacturer's specification, valid for the reference conditions as specified under "APPENDIX: Meter data". For burners and engines or motors, the meter must be selected on the basis of the permanent flow rate. For higher viscosities, or if the meter is installed on the suction side, the pressure drop and any reduction in the measuring range must also be taken into consideration. Max. permissible error: VZO 4 Qmin 0.5:0.5 l/h … 2 l/h = +1%/– 2%. VZO 4:1l/h … 2 l/h = +1%/– 2%.